So I had one of those lazy af days, where I literally did nothing all day. And those days aren’t complete until you’ve ordered some food to be delivered – something I’ve never done by myself before surprisingly. Because it was at a weird hour, my options were quite limited, nonetheless, I settled on some good ol’ pizza from Cheesey Bites. I called in to ask how long delivery would take, the guy said just under 35 minutes, and offered me a 10% discount if I ordered on the phone, so naturally, I did. In less than 30 minutes, my phone started ringing, and my order was here! The Cheesey Bite had a lot more toppings than I anticipated – always a good thing. 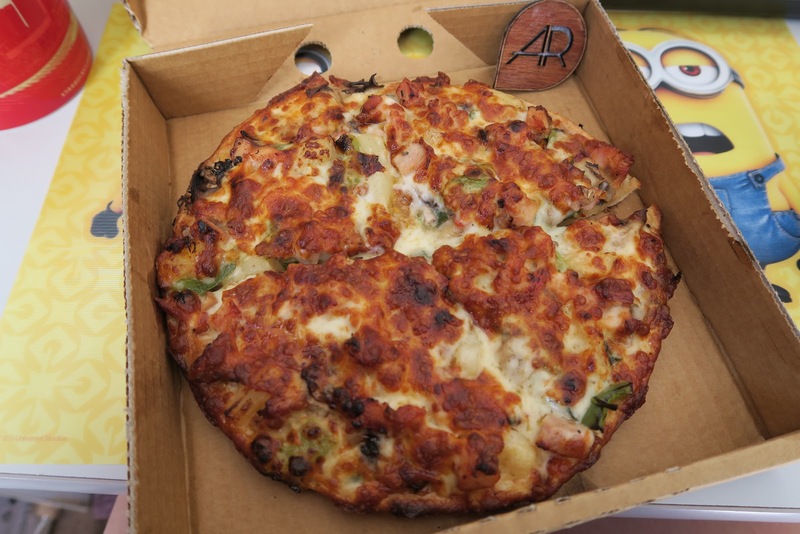 There was baby spinach, capsicum, mushrooms, pineapples, chicken, sweet chilli sauce, chilli flake, mozzarella cheese, all sitting on a creme fraiche base, pretty much a mellower version of a typical supreme pizza. Next time I’ll probably opt out the sweet chilli sauce, because I think that made the base extra soggy. Overall however, the ingredients all worked well together, and I smashed down two slices in record time. 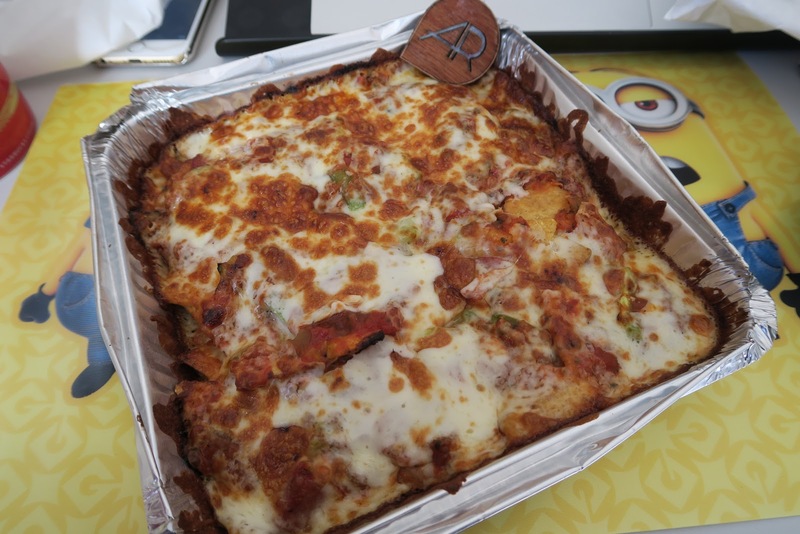 Although the experience at Cheesey Bites definitely could’ve done with some improvement, I’m still quite happy with it, just because of the fast delivery time, and prompt service. And let’s be real, I can never say no to food delivered to my doorstep, literally. 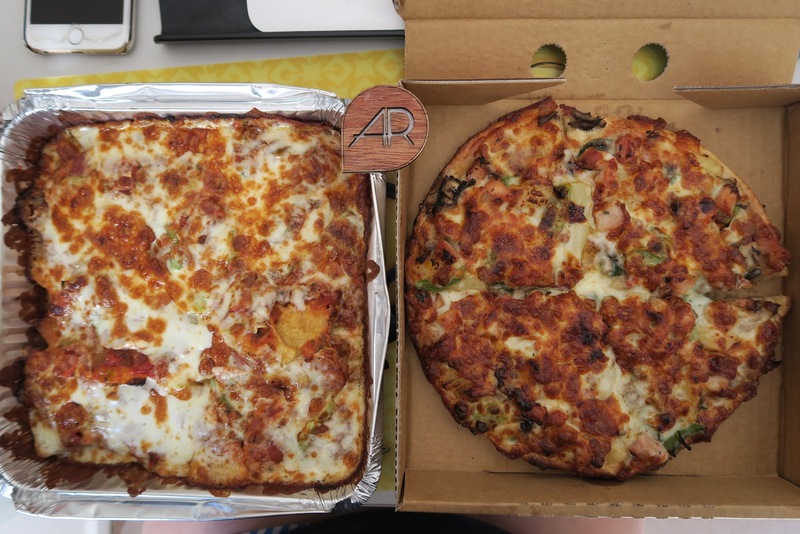 Cheesey Bites is located on Station St, literally 20 metres away from Nunawading station. Alternatively, order online like I did!